I am trying to adjust the y-axis of a report based on a report parameter. If the report parameter is greater than the default y-axis maximum, the y-axis maximum should be set to the parameter. Otherwise, the y-axis scale should keep its default formatting. The problem I'm having is that yScale1.getMax() is returning nothing (I'm assuming it gets set later on in the chart rendering) and the y-scale ends up always being set to the report parameter. Which event function sets the y-axis min and max, and what would be the best way to work out this problem? What is your BIRT version? I'll check it out in your version. We are using 2.6.1 - thanks for the help! The min and max values aren't set yet in the beforeGeneration. I'll keep working to see if I can find a way to set the scale if the parameter is higher than the max. 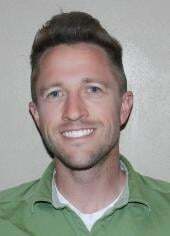 Is there any way you can figure out the max value of the chart from your dataSet data so you could know in the beforeGeneration what you needed to do? Yes, good point. I can add a script to the dataset to determine the maximum value, and then put that into a global variable. Awesome. Let me know if you have any issues with this. Let us know whenever you have questions! Forgot to post the working code. A report parameter, 'LoadMark', is used to draw a marker line in the chart. The script determines the maximum value of all datasets and forces the y-axis to be the value of LoadMark if LoadMark is greater than the dataset maximum. * Called before generation of chart model to GeneratedChartState. * Called before drawing each marker line in an Axis. // Draw the LoadMark line if specified. * Called after populating the series dataset. Yeah, I completely wasn't thinking right when I answered you above. I've posted examples getting the min and max this same way before. Sorry about that! Glad you got it done the right way despite me having a brain lapse! Feel free to post this as an example in the devShare, if you'd like! No worries - you're allowed 1 brain lapse per 20 questions of mine that you answer Your suggestion pointed me in the right direction, so all is good. Actually, I just realized there's a mistake in afterDataSetFilled() - it will run through both the x and y axis for each dataset, so when the x-axis has larger numbers than the y axis, it won't work properly. Is there a way to run getMaximum() on a single axis/component of a dataSet? And one final thing - my chart is a flipped axis chart which seems to be causing some other issues (see attachment). In that chart, I've set the marker line to be at a value of 200 (and am using my workaround code to adjust the axis maximum accordingly). But when I check the maxValue variable in that code, it comes back as 745 and not 142 which makes me think it is looping through what appears to be the x-axis (but in reality is the y-axis in the chart, since the chart is flipped). Did my last post not help you? In the above code, "Series" would be the x-axis and "Series 1" would be the first y-axis series. When you flip the axis, maybe that is switched. Let me know. If not, if you can recreate the issue with the sample database and post it in here, I'll do some testing. Sorry, I thought that was referring to the series name - didn't realize it was the eClass() property. I played around with it and checking if it equaled 'Series' was what I needed - this ignored what appeared to be the x-axis in my report and only ran through the y-axis values for all datasets. All good - thanks for all the help! I am trying to get the dynamic scale and the marker line based on the data set. X-axis seems to be working based on the series values but Y-axis does not. In the attached report, first chart has the code applied to X-axis scale and the second chart has the OnRender script applied to both X-axis and Y-axis. Any idea why the dynamic scale logic is not working for the Y-axis? When I run your report, it appears to me that the second chart's axis values are set based on the min and max values of the data in both the x and y. Am I not understanding the issue? Edit: Is it the scale you're wanting to be fixed? The Y-axis scale should look into the min and max values of the "Series 1" and get the Y scale. That does not seem to happen with the code below. Not sure why the code is not reading the mimimum and maximum values of "Series 1". It is, for me, in the second chart. I'm not sure what you're seeing. Can you show me the screenshot? Maybe I'm not understanding the issue. I could resolve this with disabling the grouping on the X-axis series. I am trying to dynamically change the multiplier and suffix on the y-axis at run time. How might I be able to code that in the beforeGeneration() function ? 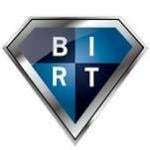 What version of BIRT are you using? Is this commercial BIRT, or open source BIRT? We are using Actuate Birt Designer Professional Version 4.2.3. In the future, please specify what version of BIRT you are using so that we can assist you more efficiently. what happens when you have secondary Y-axis. getYAxis just updates on primary -Yaxis. Any help would be appreciated. chart.getYAxisMax() only works for the first Y axis.